Address: Mallital, Nainital, Uttarakhand 263001 India. 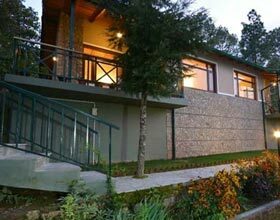 Shervani Hilltop Nainital has 35 guestrooms at feature minibars and coffee/tea makers. Accommodations offer mountain or garden views. Beds come with premium bedding. Toilets feature showers, bathrobes, slippers, and complimentary toiletries. Wireless Internet access is complimentary. In addition to desks and complimentary newspapers, guestrooms offer phones. Shervani Hilltop Nainital has Spa amenities include spa services and massage/treatment rooms. 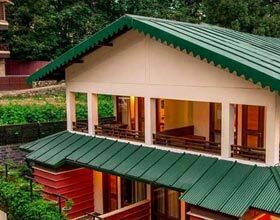 Shervani Hilltop Nainital has a 24-hour business center and offers a conference/ meeting room, technology support staff and a technology helpdesk. Complimentary wireless Internet access is available in public areas. The hotel has event space consisting of a conference center and banquet facilities. 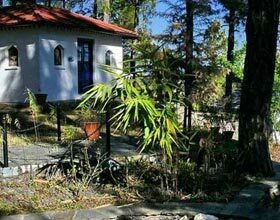 Shervani Hilltop Nainital is in the historical district and near to China Peak and Nainital Lake.